Of all the things ever held by white America and kept just out of reach from black hands and hearts, money has never been the most important of these. Nor has power, justice or equality ever been our ultimate goal. No man desires to be the equal of his oppressor or expects justice from the practitioners of injustice. It was the prospect of the opportunity to participate in democracy, the opportunity to attend school wherever they desired, the opportunity to sit wherever they wanted on buses, trains and in diners that drove the civil rights movement. Nat Turner picked up a machete because he wanted the opportunity to breathe free. Black Lives Matter simply fights for black people’s opportunity to breathe. Nowhere is this fact more evident than in the field of education. Education is more than mathematical theorems and sentence diagrams. It is about preparing for opportunity. But historically, and currently, it has been kept out of the reach of many people simply because of the color of their skin. Lately, there has been a debate about the efforts to correct this inequality using affirmative action that sometimes includes race-conscious admissions policies. While affirmative action has always been controversial, the Trump administration recently rescinded the Obama administration’s guidance on university admissions policies that promote diversity. Jeff Sessions has also directed the Department of Justice to probe Harvard University’s policies for allegedly discriminating against Asian-American applicants. Civil rights groups lash out at administration for “hostility” to equal opportunities. Conservatives and people who believe in reverse racism have pushed the Trump administration to end the growing oppression of white America, arguing that factoring diversity into college admissions and disregarding “merit” is a form of prejudice against whites. The other factor that colleges don’t like to talk about is affirmative action. The Supreme Court banned the use of racial quotas in admissions some years ago, but in real life, that decision meant nothing. Skin color remains a central consideration at every level of the process. The average admissions office is every bit as race conscious as any institution in the Jim Crow south, and far less transparent about it. Do race-conscious admissions policies level the playing field or do they give black students an unfair advantage over whites? Are universities trying to promote diversity and equality, or are they promoting reverse racism or, even worse, the mythical white genocide? Affirmative action is a “quota system:” While there are many different versions of affirmative action, the Supreme Court has specifically outlawed the use of racial quotas in 1978, 2009, and 2014. Institutions are allowed to use race as a factor but setting aside a specific number or percentage of slots for minority students is not legally allowed. People of color benefit the most from affirmative action: In almost every category, white women have been the biggest beneficiaries of affirmative action. Despite their overwhelming dislike, in almost every entity where affirmative action is enacted, non-Hispanic white women see the biggest leaps in pay, employment and college acceptance. Even in cases like Harvard, which is accused of limiting the number of Asian-American students, according to the Washington Post, it is white men who fill those slots, not minorities. Race-based admission policies mean unqualified minority students get accepted to college: This is simply not true. While universities might allow students with lower test scores, grades, etc. to gain entrance, colleges do not accept students who fail to meet the college’s minimum qualification standards. In other words, if University X requires that students score 1200 on the SAT, a black student with a 1300 might beat out a white kid with a 1320, but a black student with a score of 1100 still wouldn’t qualify. Considering these facts, there are still four factors that render the argument against race-conscious admissions moot. White children get a better education. A 2014 report by the Center for American Progress showing that minority and low-income children get the least qualified teachers. In 2012, schools across the country spent an average of $334 more on white students than students of color. A 2015 study revealed that schools funding decreases proportionately to the number of black students at the school. In other words, the more black students at a school, the fewer funds the school receives., regardless of the tax base or income in the school district. A 2016 National Education Association report revealed that elementary schools with high minority populations have fewer librarians and smaller libraries. In fact, the poorest mostly white districts have, on average, eight times as many librarians as the wealthiest high-minority districts. Yet, the abundance of data showing the inequities in America’s education system are expected to magically disappear after high school graduation? Ahmad Washington of the University of Louisville’s Department of Counseling and Human Development doesn’t think so. The people opposed to colleges considering race as part of the admissions process invariably counter with the argument that universities should only admit students on merit-based criteria. For them, standardized test scores and grades should outweigh everything else. But what exactly is merit? It is inarguable that white students do better on standardized college admissions tests. According to a 2017 report by the Brookings Institute, white students outscore black students by more than 100 points on the most popular college admissions exam, the Scholastic Aptitude Test (SAT). Yet, if you examined scores by income instead of race, SAT scores also reflect the fact that the children of richer and more educated families tend to do better on the test than poorer families. The combined SAT score of students from families who make more than $200,000 per year (1,717) is nearly 400 points higher than students from low-income families making less than $20,000 per year, according to the Washington Post. Why are black families so much poorer? Henfield has spent most of his career researching education disparities among students of color. He points out that almost every person in higher education knows that SAT scores are not only biased, but they don’t predict anything except (maybe) the first year of college. “There are a lot of people in higher education who believe that GPA is the best predictor. That’s why many colleges are doing away with factoring in standardized testing. Standardized test scores reflect background. Those are the ones who can afford the tutors. Those are the ones who can afford weekend classes and practice testing,” Henfield said. If one were to ask a group of basketball players what metric NBA scouts should consider, the tallest players would explain why height is so important. The smaller players would argue that ball-handling ability and quickness mattered most. Shooters would say that scoring is most important and the athletically gifted would argue that vertical leap and agility is paramount. The biggest myth in college admissions is that college admissions were ever merit-based. It has never been about grades, scores or even accomplishments. Money, power and inside connections have always been a factor. A 2010 study of 30 elite colleges found that family connections to a particular institution outweighs athletic ability, grades and even minority status when it comes to college admissions. A recent lawsuit against Harvard University, considered the gold standard of U.S. colleges, revealed that 33 percent of applicants whose parents attended the Massachusetts school are admitted at a rate of five times more than non-legacy students, according to the school’s own newspaper, The Crimson. And the legacies are predominately white. The 2018 complaint says that 21.5 percent of Harvard’s white students were legacy admissions, compared to only 4.79 percent of black students. A 2004 study by researchers at Princeton (pdf) found that having a parent who attended one of 10 elite universities was the equivalent of a 160-point boost to an SAT score. 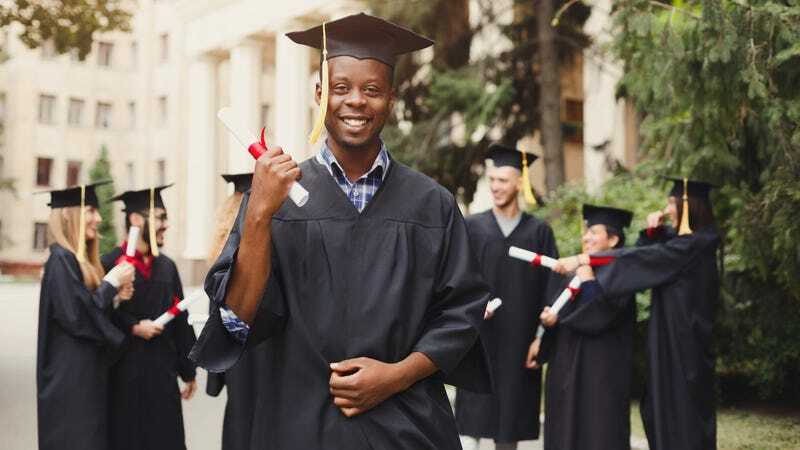 Aside from legacy status, donations, athletic scholarships, music ability and dozens of other factors outside of academics can boost one’s chances for college admission. Hundreds of private institutions across the country were founded by religious groups, secular organizations and other entities for the specific purposes of offering education to a specific group. Affirmative action has always existed for white men. The argument against building racially diverse student bodies insinuates that colleges have only recently begun focusing on diversity. “Diversity isn’t a new thing,” explained Henfield. “Educators have always known that different perspectives are necessary for understanding. Most public universities aren’t looking for the best and brightest. They are crafting a learning environment. In fact, the ultimate flaw in the merit argument is that universities know admitting students based only on test scores or numbers alone would produce schools that look much different from how they look now. Engineering and math programs would be almost exclusively white males because, despite the fact that women are overrepresented in AP and Honors classes, men still outperform them on the math portion of the SAT test (pdf). If the merit myth were true, the vast majority of college campuses would be homogeneous enclaves of white men. If all of this is true, then why so much backlash? Why are there so many people who hate affirmative action and race-based admissions? Maybe their reasoning has nothing to do with hate or greed. Perhaps they view affirmative action and race-based admission policies as an unfair advantage. That could be it, except for the fact that the white college enrollment rate continues to increase. While more minorities are attending college, there is no data that shows that white men are losing spots to people of color. Even if they think race-conscious admissions policies are unfair, it affects white people in no way. Therefore, the only possible explanation for their hate for these kinds of policies is fear. The fear of having to share their slice of the American pie. The fear of having their power diminished. The fear of equality. The fear of having to compete on a level playing field against an opponent whose legs are strong from running uphill for 400 years. They would rather keep the opportunity all to themselves.